Manufacturers of stylish and secure personal storage bags, backpacks, and satchels, LocTote products stand apart from the rest of the market in that they aren’t just attractive but are also designed to protect your valuables and create a portable safe and that can be transported with you. 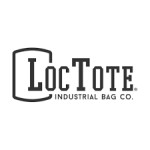 Offering a wide range of sizes, shapes, colors, and configurations for men as well as women, some of the bags available from LocTote are created for more casual use while others are designed to fit right in at the office or at the board room. Free shipping is available on every purchase to the continental United States at a 10% off discount is added to every first order with email sign-up.